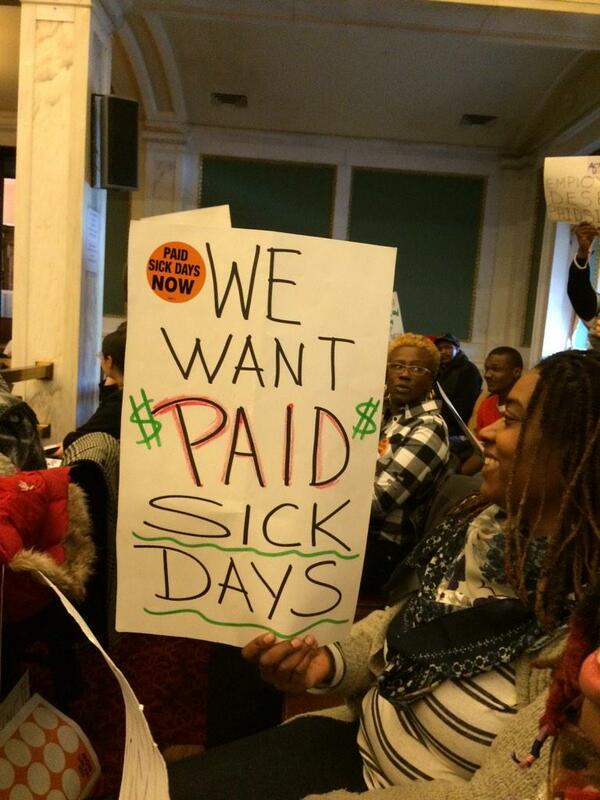 Philadelphia, PA – Philadelphia working families, business owners, advocates and experts urged the City Council to pass a paid sick days bill to ensure Philadelphia workers can succeed as caregivers and providers ahead of a Public Health and Human Services Committee hearing . This comes on the heels of President Obama’s State of the Union call for cities and states to take action on paid sick days. For nearly 200,000 hard working Philadelphians, getting sick or staying home to care for a sick family member means loss of income and the risk of losing a job. The lack of paid sick days for Philadelphia workers put the public health at risk and hurts the economy. Nearly one quarter of adults in the US have been fired or threatened with job loss for taking time off to recover from illness or care for a sick loved one. For a low-income family without paid sick days, going just 3.5 days without wages is the equivalent to losing a month’s groceries. The Philadelphia City Council previously passed a paid sick days bill twice, but each has been vetoed by Mayor Nutter. But in June, the Mayor created a task force to examine paid sick days policies, and it made recommendations for a paid sick days law in December.